Does nuclear power have a future in Japan? 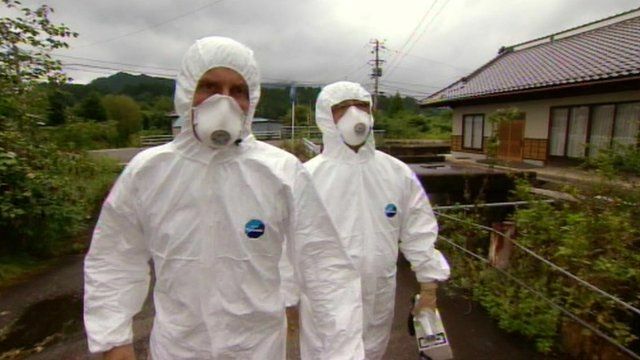 BBC correspondent Rupert Wingfield-Hayes moved to Japan with his family in 2012 and has spent a lot of time reporting on the aftermath of the tsunami in 2011 which led to the closure of the Fukushima nuclear power station. He recently made a second trip inside the crippled plant at Fukushima, and has spent many days in the contamination zone, and talking to nuclear experts. He asks if it is possible to fully recover from a disaster on the scale of Fukushima and if it is possible to guarantee that it will never happen again. BBC News: The Editors features the BBC's on-air specialists asking questions which reveal deeper truths about their areas of expertise. Watch it on BBC One on Monday 30 September at 23.20 BST or catch it later on the BBC iPlayer or on BBC World News.